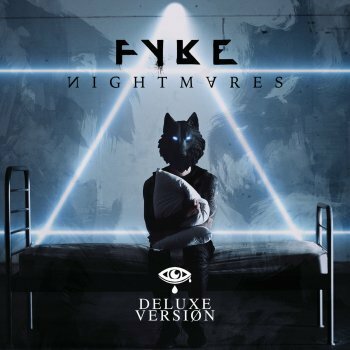 LA Based rock band FYKE has released the official music video for their single, “AWAKE,” off of the 2018 released, via Universal Music, LP, Nightmares Deluxe. Originally unveiled to enthusiastic fans on AP Facebook LIVE PREMIERE, “Awake” was directed by acclaimed music video director Brad Wong. Portland, OR based Rock Band COASTLANDS has released the official music video for their single, “Quiet Beneath the Yangtze River,” as well as announced dates for their Spring 2018 Tour. Coastlands is American instrumental rock quartet from Portland, Oregon. Founded in 2012 by Jason Sissoyev (guitar) and brought to life by Jordan Householder (guitar), Richard Keefer (drums, samples) in 2014, and Jonah Sissoyev (bass) in 2017. The band has released multiple studio records, played hundreds of shows and has shared the stage with Russian Circles, Pelican, If these trees could talk, and many other notable acts. “Angel on the Outside” plays the contrasts of quiet and loud quite well, providing a soundscape with triumphant, uplifting guitar, a blend of highly melodic and gruffly guttural vocals and an overall anthemic sound that is certain to draw in listeners.